One of two buddhas on the Borobudur that have the outer shell removed. Each of the other bell shaped stupas contain a buddha statue. 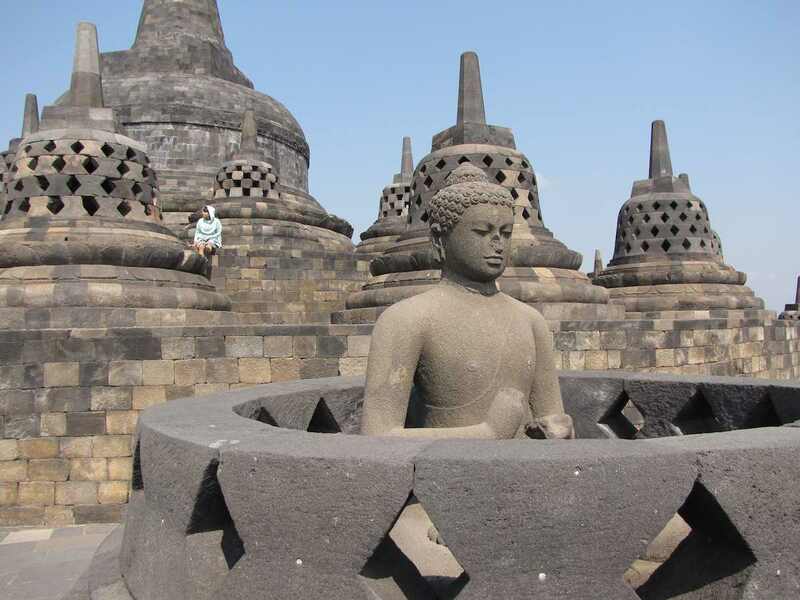 The main dome, located at the centre of the top platform, is surrounded by 72 (2 have been opened for tourists to see more easily) Buddha statues seated inside stone stupas.